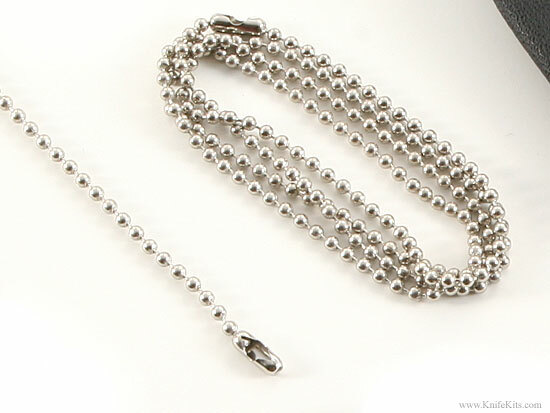 Our 20LB pull strength ball chains are available in stainless and black epoxy coated finish. These are 24" in length, very high quality with a pre-installed clasp. This type of chain is common on neck style knives. Made in USA.